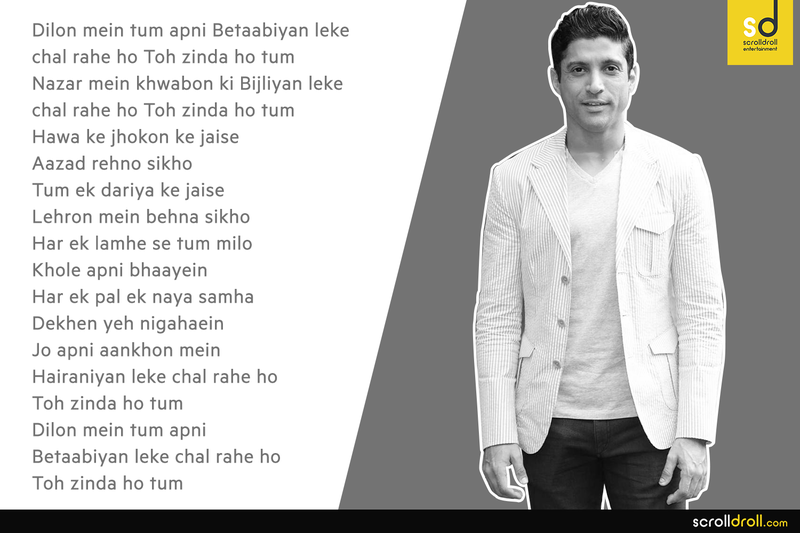 Best Of Imraan's Poetry From "Zindagi Na Milegi Dobaraa"
One thing that we definitely liked better in the movie Zindagi Na Milegi Dobara, apart from its general appeal, was Imran’s poetry. The mysterious writer within the archetype of Imran has a knack for writing poems which touched the hearts of the viewers. Though there are only four poems that are narrated in the background, they aptly capture the essence of the character’s feelings and emotions. The poems are along the lines of life, existentialism and self-reflection and speculation. The essence of ZNMD’s narrative lies in these verses. 2. Share your sorrows, revel in other’s happiness. 3. “I am, therefore I think’. 4. What is life if there are no emotions? Emotions make us human. We wish there were more poems narrated in the movie, but that might lean towards the sin of greed. The poems have resonated with us and they’ve led us to dive deeper into ourselves, to search for solace and peace. Tell us what you think about Imran’s Poetry and also share your favorite poems in the comment section.